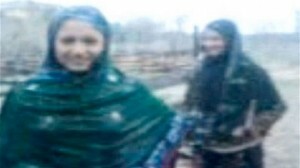 Two sisters and their mother have been shot dead in Pakistan, after the girls appeared in a video which showed them dancing in the rain. The sisters, aged fifteen and sixteen, have been named in local media as Noor Basra and Noor Sheza, the daughters of a retired police officer. According to Dawn, five masked men forced their way into the house and opened fire last Sunday. The video, shot six months ago, shows the girls laughing as they dance outside their bungalow in Chilas, in the north of Pakistan. An investigation by Dawn has proposed that the girls’ stepbrother considered the video an ‘assault on the honour of his family,’ and organised the attack. Four men are also wanted for questioning over the killings. While exact figures on honour killings in the country are hard to attain, Amnesty International Australia spokeswoman Karen Trentini said the figure went into the hundreds with many more cases going unreported. CGDC is currently creating an alliance of forty organisations to speak out about violence against women, which in light of the recent ‘honour killing’ in Pakistan, is more relevant than ever. This entry was posted in News and tagged gender, honour killing, in brief, Pakistan, women. Bookmark the permalink.